Harmonize your mind with that of the collective field of one love. This process of balancing has already begun and now provides you an opportunity to fully harmonize with the greater field of love and unity on Earth! Your angels, and Archangel Metatron are on hand to support you in healing, forgiveness and compassion. Now is the time to face your deepest fears and desires… realizing the memories, people and events from your past which still evoke pain, anger, jealousy and other negatively charged reactions. This angel message with Archangel Metatron supports you in realizing and releasing these charged reactions. Allow yourself to tune into your heart, and your feelings. Feel the memory that is coming up to be released. Feel your emotions, the pain or anger that still haunts you. When you are ready, with your simple intention, release the emotion, pain, and hurt into the light, and over to your angels. You can then ask and allow the emotion to be replaced with unconditional love, unity, peace, joy, forgiveness, light and freedom. These are in vibrational alignment with your ascension, and with the highest and best possible version of you that you are becoming! This message was originally recorded in 2010, but it is so relevant and powerful we decided to transcribe it and republish it for you now. Returning to Wholeness Channeled Message From Archangel Metatron! Or keep reading as this message has now been transcribed for you below. Greetings, beloved being of light, I am here with you now. 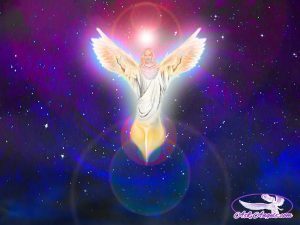 Indeed, I am Archangel Metatron, and it is my honor to connect with you in this now moment so that you may begin to elevate your vibration, attuning more fully to your true and authentic self, your power, your energy and your wisdom, as a spiritual being. Drop into your heart, allow your heart to open and feel the incredible amount of love and light that is all around you. Indeed, a light orb, a golden sphere, surrounds your entire being. Allow this light to now penetrate your being, entering in through your crown chakra and filling your spinal column with light. Feel this energy continue to gather in your solar plexus and in your heart. Your heart is linking now with your mind so that your heart influences your very thoughts, your ideas, so that you naturally respond in a loving and positive way that will help you in this process you are undergoing, the process of evolving, of becoming whole once again. And beloved one, the energies of now, guide you and support you in finding balance in your life. Allow yourself to now tune in to your heart and let your biggest fear, whatever you are most afraid of at this current time rise to the surface. This can be a subconscious fear or it can be something very clear and obvious from your physical reality, but let this fear come up. Allow yourself to feel it, to look at it, to experience it fully. And in doing so, you are reclaiming your power from this. When you are ready, feel the fear. Feel it resonating throughout your being. But notice that right now it simply is; you are able to experience it without becoming overly emotional, afraid or out of balance. You are facing your fear right now. Now, I invite you to simply release it up into the light, and as you do symbolically releasing all fear in your life. Indeed, this is complete. Now is your opportunity to refocus on where you are heading. What are your goals, your ambitions and your dreams? For as you enter into this cycle, this is a powerful time for you to identify what you truly desire. So much of the pain and suffering you experience in your life is due to your not allowing the things you truly desire to manifest. And so, you feel bad, and out of alignment. Right now, become crystal clear about what it is that you desire. Know that the energies carry a magical wave of new energy, enthusiasm, harmony, unity and peace. These vibrations will support you in getting what you want. It is the time for action, yes. But support your action with your intention, for this, is oh, so powerful. Feel your intention now radiating throughout your being, feel as though you already have what you desire. Imagine what characteristics your life will take on when you accomplish this. Feel it, rejoice, and celebrate now before you even have it. Now release attachment, release the need to have this object, or the need to have this experience that you desire, and become fully content, fully focused, fully present in this now moment. Become aware of the light that is all around you and breathe in, filling your being with light. And now, breathe out. And as you do, feel this light anchor into earth, grounding you in the physical reality, while at the same time elevating your vibration. Beloved, you have indeed released your greatest fear, and you have released attachment to what you truly desire. You are now open and are ready to magnetize to you that which you truly authentically need, want, desire. And you deserve these things. You are unlimited and anything you desire is possible. Many of you are experiencing now, turbulence in reality, as things are shaking up. Know that this is a blessing. You are challenged, yes. But each challenge presents you with an opportunity to claim your power, to respond with love, to believe and to grow, to open, to step into the next highest possible version of yourself. What areas in your life are you limiting yourself from your true power? Become aware of this, and become aware of your next steps in healing this. Balance your ambitions, discern your true, path and then follow this authentic truth. You are supported, you are loved, and you are ready to accelerate your personal growth, your spiritual development, and to open to the magnificent light being that you are. Breathe in deeply now and feel the truth of this statement, the truth that you are a divine being, a wise being here on earth to enjoy, to love and also to share and to help. You are being realigned with this Divine path now. Feel, once again, the incredible amount of Love all around you. I am Metatron. I am with you, and your own angels and guides are present here as well. Feel the angelic energy buzzing all around and in you and know that we truly love you. This love is your ally; remember that it is always there. And when you are having difficulty choosing love, tap into ours, for we are honored, able, blessed and willing to support and assist you on your mission, in returning to wholeness. You have the opportunity to fully reunite and connect with Gaia, with earth, with the nature kingdoms, with love. Doing this will accelerate your path and your development. You are ready, and you see that you are moving forward at one with earth, learning how to live in balance, in close connection with all species, all creatures, rocks, trees, minerals, plants, Mother Earth. You are all one. Recognize this oneness and treat your earth with the love and with the respect that we have for you. Beloved one, your energy is indeed cleansed and lifted. Use today to remember to breathe deeply and fully know that you have plenty of time. Relax and simply go with the flow, be with the process of life, connect with nature and take control. Manifest your deepest desires. They are possible for you. Believe. Take the next step and trust that what you desire will come to pass. Indeed, I am Metatron, and beloved, you are so deeply loved. Thank you,Melanie!This is very big gift for me!